Alex Akhurst in Culture & Arts Music on 20 June, 2017. 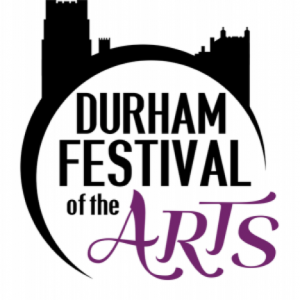 After selling out for both evening performances of Will Todd’s Alice in Wonderland, Durham Opera Ensemble’s Easter production had already been very successful and achieved wide acclaim by the time of their Saturday matinee performance. Their final performance was also a sell-out, and the garden courtyard in St John’s College was full of people, some sat in seats under gazebos, and some with picnic blankets or sat on benches around the periphery. Their open-air performances enjoyed resplendent weather. The set featured a middle aisle and used hay-bales along bunting and other colourful decorations to create the atmosphere of a traditional Victorian country fayre. This was helped along by the traditional drinks and baked goods enjoyed beforehand and during the interval. The first half opened with an overture which explored many different genres and dance forms, and the band, directed by Joshua Ridley, had some very characterful moments, introducing some of the musical motifs that would later come to identify with certain characters within the opera itself. Particularly for the matinee, credit should go to the orchestral musicians, who had to slave away under sweltering heat which is known to cause all sorts of problems for string instruments. In the first half, the musical characterisation was particularly well-crafted. 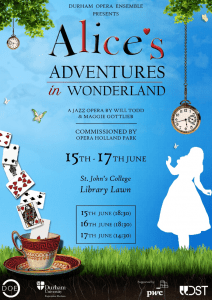 Alice, played by soprano Lydia Marshall, was in a position of relative sanity, this was reflected by her down-to-earth and youthful vocal delivery. The Victorian family themselves were also characterised by a traditional vocal style, and this was undermined in a variety of ways once Alice entered wonderland. The ‘Victorian’ quartet was also an entertaining treat, used mostly between major scenes to aid the transitions. There was a great conversational element to this, with Cat Brooks (playing the tenor role) singing an argumentative role that was rhythmically and sometimes tonally offset by the composer to underline the sense of disagreement. The choreography was characterised by relative simplicity with more unconventional elements used to highlight the more ‘mad’ characters, and the space was used marvellously throughout, particularly the middle aisle. Having said that, at times the blocking and spacing did mean that the delivery of the words was less clear. The ability of the band and the performers on stage to co-ordinate was mostly very impressive, particularly at the beginning of the second half. The dormouse’s snoring punctuated the incidental music hilariously, and a similar example is found in the scenes involving the caterpillar. These kinds of gestural ‘sound effects’ are the kind of thing that would fail entirely if poorly co-ordinated. The tweedles (played by Rosie Burgering and Ashleigh Charlton) were an excellent and perfectly balanced duo and were very much in character throughout, proving especially convincing as they doubled in the roles of Alice’s Victorian sisters. The second half was where the narrative really began to pick up in pace, and there were some real moments of hilarity. Cameron Gergett’s performance as the Queen of Hearts was particularly convincing, and he achieved a commanding vocal delivery, along with a terrifying presence on-stage, even when skulking in the background. This was helped, no doubt, by the impressive costume design (here the Queen of Hearts sported a fearsome look. Credit should go to Isabella Young for her work on costumes and set. A rare, and moving, moment of relative peace arrives after a tumultuous arrest scene, and Alice’s recitative-like soliloquy, and despite some tentative entries in the orchestra (likely caused by the rhythmic freedom of this solo section) this was a moving and musically beautiful interlude. Some particularly demanding – and well executed – roles included that of the Duchess, sung by Soprano Hannah Cox. Her scene, which involved entertaining references to several Durham University Colleges, was characterised by tension as Alice attempted to help her remember the right words. The alliterative voiced ‘H’ used continuously in this ensemble piece was a source of great amusement. The Cheshire Cat – played by countertenor James MacTavish – and Jeremy Cowen’s Caterpillar seemed to serve as opposites (not just in terms of vocal range). The Cheshire Cat’s agile movements on stage and excitable vocals contrasted hilariously with the Caterpillar’s somewhat hungover demeanour, and Mr. Cowen used his lower register hilariously in an impressive (and hopefully not truthful) realisation of the relatable experience of vocal fry after a good night of drinking. Other worthy mentions are Sammy Allsop for expressing exasperation perfectly in the role of Humpty Dumpty, Chris Knight’s impressively ditsy White Knight and George Evans-Thomas as the March Hare (particularly noteworthy for a fine cockney dialect and mannerisms). The storyline was engaging and easy to follow, the space, set and costumes were expertly deployed, and there was a high standard of vocal and instrumental musicianship – this performance was thoroughly enjoyed by old and young, locals and students alike. 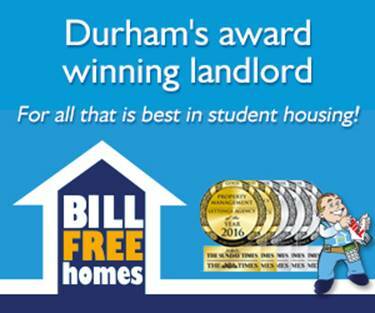 We look forward to seeing more great performances from Durham Opera Ensemble next academic year under their new Exec committee.